Stocking Fillers is a great website full of all those small items, such as games, toys and fun things that are perfect for filling stockings this Christmas. With a wide range to choose from, the site is easy to navigate as it’s broken down into different price points as well as boys, girls, adults etc. 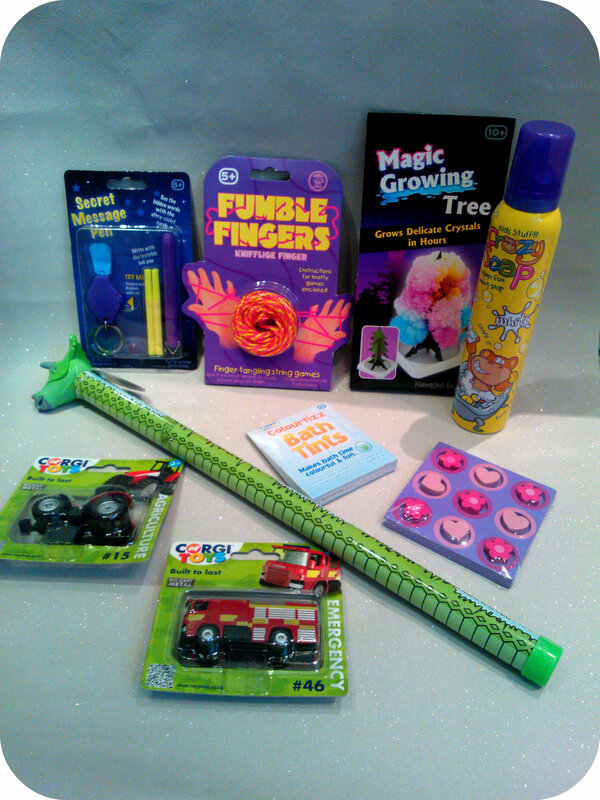 There also is something for everyone making it the one stop shop for stocking fillers. I chose a selection of items for my children that I don’t think will disappoint. The quality on all the items seems good value for the price and it was easy being able to order a box full of goodies from one place. There were plenty of branded items to choose from such as Corgi diecast cars and Crazy Soap which is always a hit in the bath! I also picked up some coloured Bath Tint tablets to change the colour of the bath which sound like fun. My daughter enjoys a game of noughts and crosses on paper and I spotted a little wooden set using hearts and flowers which looked quite sweet, games never disappoint my children so I’m sure we’ll have lots of fun for such a simple item. For Mister B who’s 4, I think the dinosaur stick will be fun, by turning it over it makes a dinosaur “roar”. The Secret Message Pen will be a hit for Miss M as she loves writing little notes and the fact that we can’t see them will turn it into a fun game for her. I think the Stocking Fillers website is a great place to pick up all those last minute little bits and pieces that fill us with joy each Christmas morning. Why not take a look yourself? All reviews are my own and my family’s opinions and we received some stocking fillers in order to write the review. One thing all children like at Christmas is hanging up their stockings waiting for them to be filled with lots of little treats and delights. I know my two children are already excited about hanging their stocking by the fireplace and it’s the first thing they open on Christmas morning. 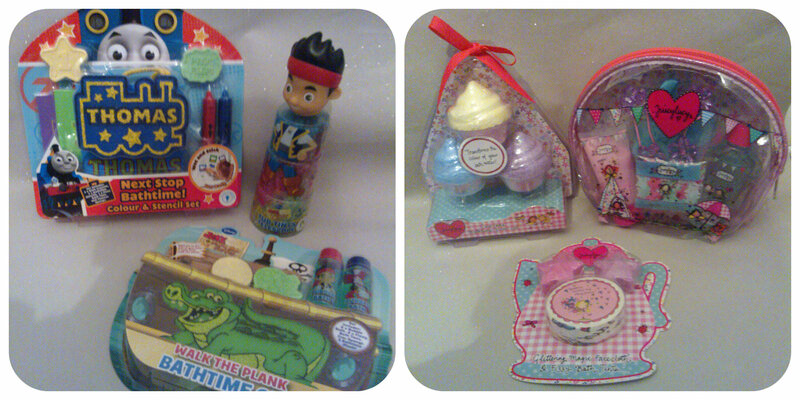 Tomy’s collectible Gacha range of pocket money toys make the ideal thing to pop in Christmas stockings. The little sealed packets are fun to open and my children were all excited at the prospect of what was giong to be inside. With brands in the range such as Hello Kitty, Disney, Monsters University, Furby, Transformers there is sure to be something everyone will like. 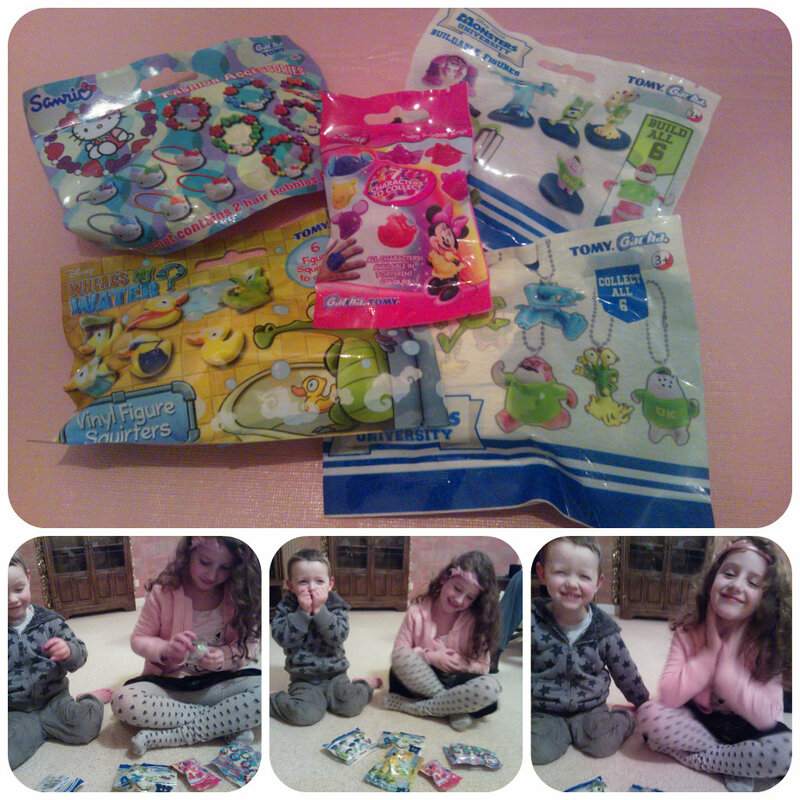 Our packets contained items from Monster’s university, Disney and Hello Kitty. Miss M was pleased with her Hello Kitty bracelet and hairbands and wanted me to do her hair straight away. She also put the Disney ring straight on her finger – it has a large design on top that she was keen to show everyone. Mister B had a Monster’s University monster that came in 5 pieces to build yourself although was a little difficult to assemble. 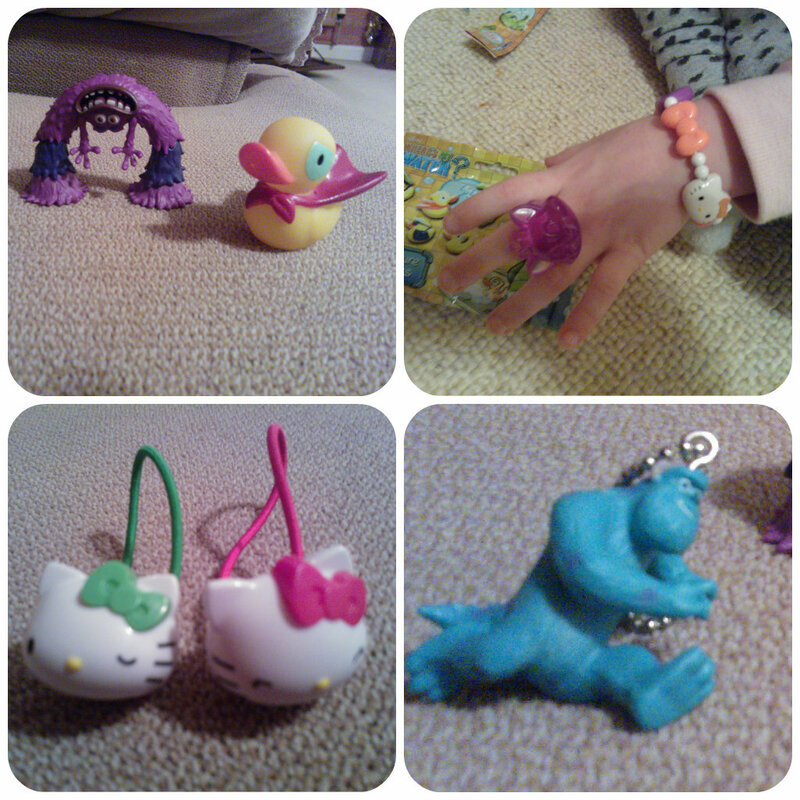 There was also a Monster’s University key chain and a water squirter duck from Disney. Mister B had fun playing with the three figures on the floor and was quite amused by them. We tried the duck bath squirter that night and it actually works quite well, they had lots of fun squirting each other with it and Mister B named him “super duck” due to the cape on his back. Overall, these stocking fillers are the sort of little items that children love and carry around with them. For some low priced branded fun, then these are sure to bring a smile to a young child.